Saul Williams is a very influential New York based poet, rapper, musician, actor and writer, most commonly known for his appearance in the 1998 film Slam, his alternative hip-hop style poetry, and most notably his slam poetry. He was born in Newburgh, New York in 1972, where he attended Newburgh Free Academy. He graduated from Morehouse College with a degree in acting and philosophy. From there he went to New York University in New York City to earn a masters in acting. He started his career as a open mic poet, earning much respect as slam poet, and eventually joining the slam poetry team Nuyorican Poets. The documentary SlamNation follows him and the other members of the team as they compete in the National Poetry Slam held in Portland Oregon in 1996. In 1997-98 Williams serves as the lead actor in the film Slam, which he also helped write. This film won the Sundance Film Festival grand jury prize, and helped put Saul in the national spotlight. At this time he began concentrating on his music. Through his music and poetry he discusses many of the problems created by the government and American society. Much of his work focuses on the loss of identity of African Americans through slavery, and the unjust prison system of the United States. He is also a vocal critic of the war on terrorism in the Middle East. Through his work there is ample evidence that he does not seek fame, fortune, or mainstream media attention, but he aims to educate and spread awareness so that people can use their voices to make change. -This is the link to his website, where you can watch music videos, listen to music, and learn about Saul Williams in general. -Here is a link to a video of Saul performing one of his most popular and influential poems. It is a good example of the kinds of issues he is passionate about, and reflects much of what the movie Slam is about. -This is a link to a summary and review of the film Slam, which Saul Williams helped write and served as lead actor in. I would highly suggest watching the first video on this page, which is from the film. The second link I posted is a link to the second video on this page. 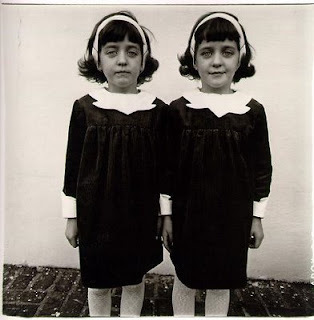 Diane Arbus was a famous photographer in the 1960's. She grew up privileged in a nice apartment on Park Avenue in New York. She met Allan Arbus at the age of 13 and they married after she turned 18. 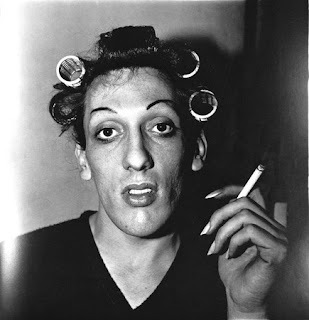 Allen Arbus was the one that got her into photography because he gave her his first camera after they had started a fashion photography business together. Later though, Allan supported Diane's decision to leave him with the fashion photography business to explore her own interests in photography. She ended up taking pictures of actors, writers, etc. for magazines such as Esquire and Harper's Bazzar. She did in a way though, that would reveal the person in a natural way, innocent, with their guard down. Many of her pictures were very raw, looking into the subject's soul. She was able to accomplish this by following the subject to their home and work and talking with them until they would loosen up and shake off the "act" they would put on for the public. Unfortunately, while she was going through a stage of depression, Diane committed suicide in July of 1971. 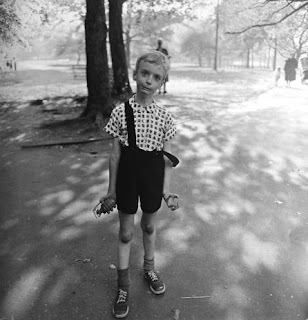 Diane Arbus compelling and worth sharing because she took chances. Back in the 1960's people weren't as accepting of transvestites and nudists as they might be nowadays. She took that chance on her photography that it might be rejected or shunned. Also, many people will not allow strangers to get them to loosen up and show their true selves, let alone take a picture of them at that moment, but Diane was able to do so by not only following them around, but talking and listening to them, kind of like a therapist. Instead of stopping there however, she would take their picture at that exact vulnerable moment. This is a website with many of her famous photographs. It is a virtual book of her many photographs. There is a variety of photos that are transvestites, nudists, twins, etc. This website is a Jewish library website that gives the history of Diane's life. It gives a background of her family and how she grew up privileged and how she became a photographer. This is a website that I thought had a little bit of different information than the Jewish library website about Diane Arbus' life. Such as it gives the name she was born with, Diane Nemerox, and it mentions how her father had asked her and her husband to take photographs for the advertisements for his store. Also, because a lot of her subjectswere born differently, like transvestites, twins, triplets, midgets, and really tall people, the article quotes her saying, "Most people go through life dreading they'll have a traumatic experience. [These people] were born with their trauma. They've already passed their test in life. They're aristocrats." "Ripo (pronounced re-po) comes from ‘repossess’ and the idea of taking something back by doing it yourself,” he says. “Also, taking back public space, which should be ours anyway." "The work of multimedia street and studio artist Ripo thrives on contexts. With legal and illegal pieces popping up in 36 countries, Ripo’s boldly crafted images and carefully hand-lettered slogans may appear anywhere from a European gallery to the side of an abandoned building in Central America. Wherever they appear, they comment on place: the place of the artist in a community as well as the place of the viewer in a public space. Even his assumed name, Ripo, is anonymous, malleable, and open to interpretation." 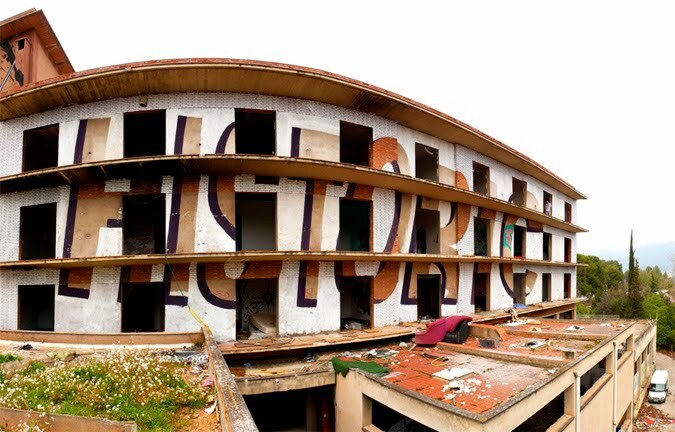 "Ripo’s street art is as intelligent as the artist himself, often fusing typography and sarcasm on dilapidated buildings all over the world. 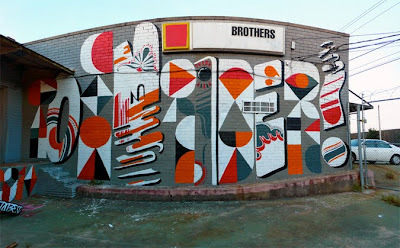 His typography evokes a vintage 1950’s America and is juxtaposed with modern social commentary." Ripo's work is super inspiring because of his true commitment to not only his street art, but his art in general. He uses current events as a main source of inspiration, creating much needed social commentary through humor and sarcasm. 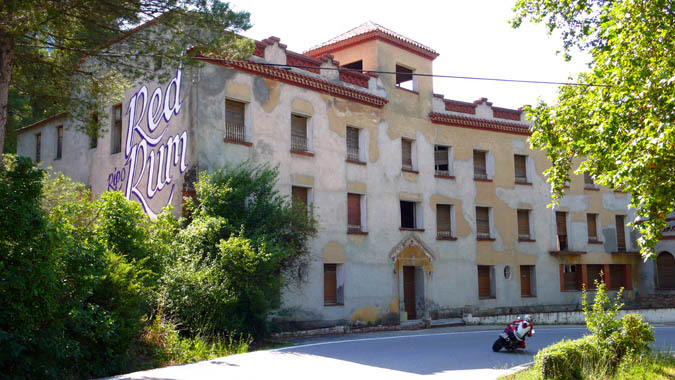 A true craftsman and artist, his concepts are directly linked to his process and inspirations. 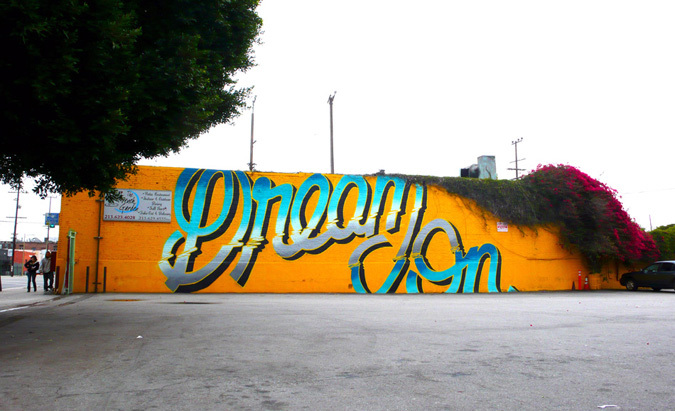 Although Ripo mainly composes typographic pieces, he is not limited to that alone. He also uses photography, drawing, and mixed media as mediums in which to best portray his unique commentary. 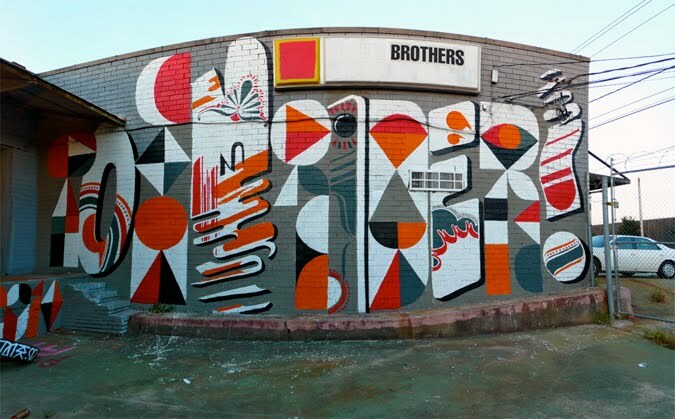 Ripo's limitless artistry and motivation as a commentator on events in society past and present sets him apart as a street artist in contemporary graffiti. The following link contains a first-hand interview with Ripo discussing his influences, inspirations, process, concept, and art in general. The following link contains another informative interview with Ripo. Lori Zimmer asks him about his more recent projects, as well as gets reactions from everyday people in regards to his street art. The next links work as a pair in showcasing Ripo's recent work, including a video showcasing a news/events inspired piece. Found via his personal blog, Ripo did an interview with music magazine Alarm in Spring 2009. 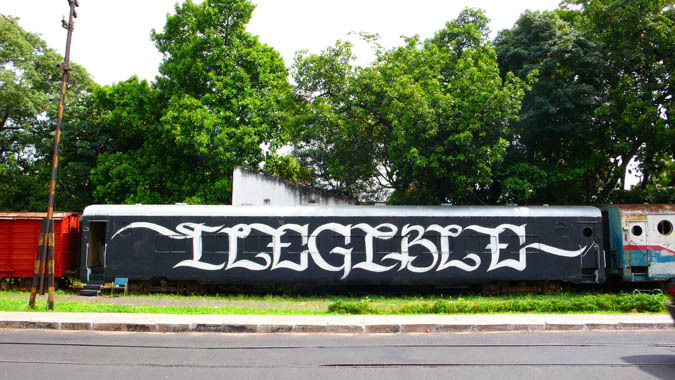 This interview best communicates his relevance and timelessness in street art. And finally, one last quick interview with Ripo mainly discussing his relationship with his current residence in Barcelona. 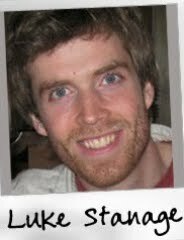 Luke Stanage, a talented musician with an unusual voice. He is a Christian music writer but his music is very unlike mainstream "christian" music. A skilled combination of guitar and voice puts his music into the alternative category. Luke grew up in the Midwest of Washington state and attend Western Washington University. During his studies at school music began to play a larger role in his life and he released his first CD while a Junior at college. He is now happily married to a beautiful wife and they live in Bellingham working as teachers for elementary schools. His music evokes a longing for something more, something real, something tangible. The longing wells up and overflows into a desire to do something real in life. This artist draws my attention because of his unique style and simple yet profound lyrics. The REVERBNATION page contains some recording of songs as well as information as to upcoming shows. His Bandcamp page also contains some songs that reflect the alternative style. He recently co-released an album called Arise. Arise is a project of Hillcrest Chapel in Bellingham, Washington. The vision of the project is to celebrate God through artistic expression and communicate His goodness to all people. Songs are written and performed by Hillcrest musicians and make up a diverse compilation of styles and sounds. Travis Michael Wall is an amazing dancer and choreographer that most recently came to fame after competing for America’s favorite dancer on “So You Think You Can Dance”, in which he was runner up. Many people do not know that Travis had a large dance career before the show, as well as continuing after the show and tour ended. Travis is only 23 years old, born September 16 1987. 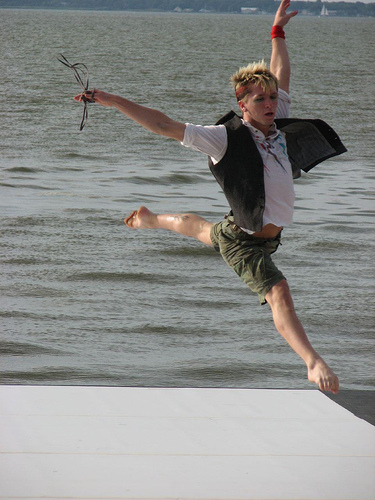 His passion for dance started at his mother’s dance studio in Virginia Beach, VA, Denise Wall’s Dance Energy. Before appearing on the dance show Travis had competed in many national dance competitions, some on television as well, been on Broadway performing in The Music Man, and participated in an artistic book of dancers movement photography called Moving Still: a live performance. More recently, Travis has come back to the dance show not as a dancer but an amazing choreographer. His pieces speak to the viewers; they tell a story with emotion, fierce dancing, and partner interactions that astonish the crowds. Each one of Travis’ pieces takes the audience out of their seats and brings them to the time and place of what the dance is describing. With brilliant use of props and very talented dancers, Travis is able to take dancing to a level not reached by many artists, while all along opening up the dance world to millions of new viewers. http://www.traviswall.tv/flash.html - A Travis Wall created website after his long tour of “So You Think You Can Dance”. Although it does not seem to be updated regularly it is a fun way to see the goofy side of Travis and his friends. It also is a launching site for a DVD compilation of his own dances, choreography, and a new style of hip-hop he and friends created. http://www.tv.com/travis-wall/person/448366/biography.html - Travis’ biography is featured on this website. Both past and present accomplishments are highlighted. This website gives the largest amount of information of Travis’ career and life before “So You Think You Can Dance”. http://www.squidoo.com/TravisWallChoreographer - This website not only describes Travis’ past and present careers, but it also shows some amazing videos of his choreography work from “So You Think You Can Dance”. Other interesting websites, photographs, and up-to-date information about Travis are also components of this site. This site offers a combination of original artwork done by Frida Kahlo, the values of some of her paintings, and exclusive diary entries from Frida herself. This site was compiled by a fan group. This site offers a wide variety of insights into Frida Kahlo's life including homemade videos of her and her husband. This site is also available in Spanish and English for different cultures to enjoy. This site gives insight into Frida Kahlo's musuem which was dedicated to her in her hometown of Mexico City. For those further interested in Frida's life, the above site is a way to purchase her academy award nominated movie. 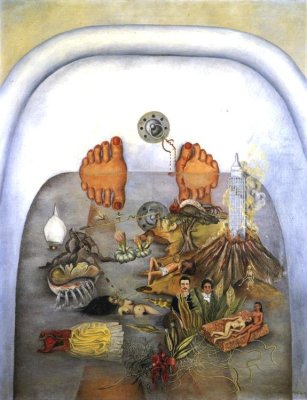 Frida Kahlo has had a very interesting and unusual life which influenced her painting style. At the age of six she was diagnosed with polio which made her legs fragile; and in her early teen years she was in a traffic accident that caused her to be in a body cast and pain for much of her life. While she was bed ridden she started seriously painting. She asked a famous artist Diego Rivera to review her artwork. He started working closely with her as a partner and critique and later their friendship blossomed into a relationship. Frida Kahlo’s art is symbolic of her life events. 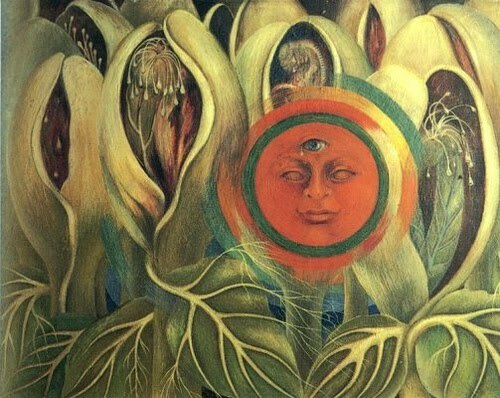 Frida’s art can be best summarized as surrealism. According to surrealism.org “Surrealism style uses visual imagery from the subconscious mind to create art without the intention of logical comprehensibility.” She produced about 150 paintings of which 55 of those were self portraits. 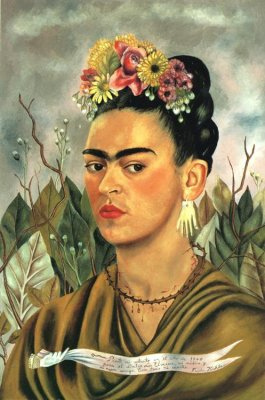 According to Fridakahlo.com, Frida stated “I paint myself because I am so often alone and because I am the subject I know best.” Frida Kahlo has her own art museum in Mexico City where she lived her entire life.